In the history of economic thought, early economic thought refers to ideas from before and during the Middle Ages. 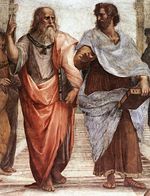 The earliest discussions of economics date back to ancient times, such as Chanakya's Arthashastra or Xenophon's Oeconomicus, and continues through the religious-based ideas of Jewish thought, the Scholastics, and medieval Islamic scholars. In those early times, and until the industrial revolution, economics was not a separate discipline but part of philosophy. Religious tenets and a concern for morality and ethics played a significant role in the views of early theorists. The earliest writings were not clearly separated from other discussions, particularly those of justice and morality. This reflects the reality of early societies—as Karl Polanyi noted, early economies were "embedded economies," not separate and certainly not dominant institutions (Eggleston 2008). The Erlenmeyer tablets give a picture of Sumerian production in the Euphrates Valley around 2,200-2,100 B.C.E., and show an understanding of the relationship between grain and labor inputs (valued in "female labor days") and outputs and an emphasis on efficiency. Egyptians measured work output in man-days. The development of sophisticated economic administration continued in the Euphrates and Nile valleys during the Babylonian Empire and Egyptian Empires when trading units spread through the Near East within monetary systems. Egyptian fraction and base 60 monetary units were extended in use and diversity to Greek, early Islamic culture, and medieval cultures. By 1202 C.E. Fibonacci's use of zero and Vedic-Islamic numerals motivated Europeans to apply zero as an exponent, birthing modern decimals 350 years later. 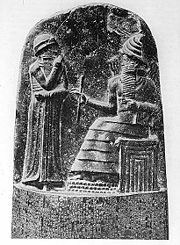 The city-states of Sumer developed a trade and market economy based originally on the commodity money of the Shekel which was a certain weight measure of barley, while the Babylonians and their city state neighbors later developed the earliest system of economics using a metric of various commodities, that was fixed in a legal code. The early law codes from Sumer could be considered the first (written) economic formula, and had many attributes still in use in the current price system today... such as codified amounts of money for business deals (interest rates), fines in money for 'wrong doing', inheritance rules, laws concerning how private property is to be taxed or divided, and so forth (Horne 1915). However, several ancient Greek and Roman thinkers made various economic observations, starting with Hesiod in eighth century B.C.E. 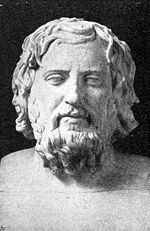 Being a farmer, Hesiod was interested in efficiency—an economic concept measured as a ratio of outputs to inputs. Maximum efficiency is taken to be achieving the largest possible output with a given input. Hesiod lived in a place that was not exactly conducive to agriculture, a "sorry place ... bad in winter, hard in summer, never good" (Rand 1911). Because of this, he understood and wanted to help alleviate the problem of scarcity on earth. In Works and Days, he noted that because of scarcity time, labor, and production goods had to be carefully allocated. He advocated more freedom in land owning and less stringent rules on the payment of interest. When one considers the audience for whom he wrote, it can be understood that Hesiod wanted to help alleviate the problems of hunger and debt. (Rand 1911: 131-165). Many other Greek writings (in addition to those of Aristotle and Xenophon discussed below) show understanding of sophisticated economic concepts. For instance, a form of Gresham’s Law is presented in Aristophanes’ Frogs, and beyond Plato's application of sophisticated mathematical advances influenced by the Pythagoreans is his appreciation of fiat money in his Laws (742a–b) and in the pseudo-Platonic dialogue, Eryxias (Lowry 2003 :23). Bryson of Heraclea was a neo-platonic who is cited as having heavily influenced early Muslim economic scholarship (Spengler 1964). In Cyropaedia Xenophon presents what in hindsight can be seen as the foundation for a theory of fair exchange in the market. In one anecdote, the young Cyrus is to judge the fairness of an exchange made between a tall and a short boy. The tall boy forces the pair to exchange tunics, because the tall boy's tunic is too short, shorter than the short boy's, which is too long for him. Cyrus rules the exchange fair because it results in a better fit for both boys. Cyrus' mentors were not pleased with Cyrus' basing his decision on the values involved, as a just exchange must be voluntary (Cyropaedia I(3): 15–17). Later in the biography, Xenophon discusses the concept of division of labor, referencing specialized cooks and workers in a shoemaking shop (Cyropaedia VIII(2): 5–6). Scholars have noted that Adam Smith's early notes about this concept "read like a paraphrase of Xenophon's discussion of the role of the carpenter as a 'jack of all trades' in small cities and as a specialist in large cities" (Lowry 2003: 18). Xenophon also presents an example of mutual advantage from exchange in a story about Cyrus coordinating an exchange of surplus farmland from Armenians, who were herders, and surplus grazing land from Chaldeans, who were farmers (Cyropaedia III(2): 17–33). Aristotle's main contributions to economic thinking concern the exchange of commodities and the use of money in this exchange. He regarded economic activity as the way to realize well-being within the idea city-state—a just and harmonious community (Eggleston 2008). People's needs, he said, are moderate, but people's desires are limitless. Hence the production of commodities to satisfy needs was right and natural, whereas the production of goods in an attempt to satisfy unlimited desires was unnatural. Aristotle conceded that when goods are produced to be sold in a market, it can be difficult to determine if this activity is satisfying needs or inordinate desires; but he assumed that if a market exchange is in the form of barter, it is made to satisfy natural needs and no economic gain is intended. 10. A man might gather up fruit that was falling down onto another man's farm (Thatcher 1901: 9-11). The large body of law was unified in the 530s C.E. by Justinian who was Emperor of the Eastern Roman Empire from 526-565 C.E. This "Code of Justinian" or Corpus Juris Civilis formed the base of most European civil law legal systems, still in force today. In the Institutiones, the principle of just trade is stated as tantum bona valent, quantum vendi possunt ("goods are worth as much as they can be sold for") (Institutiones 3:305). Accumulation of wealth is a virtue not a vice. Man is obligated to participate in the creative process, should not be demotivated by inadequate protection of private property, and is blessed when the outcome of honest labor is the accumulation of wealth. (Berachot 8a, Avot 4:1) also (Mishneh Torah Hafla'ah (Separation): Laws of vows and oaths 8:13). There is the obligation to care for the needy through charitable giving. The Torah mentions the commandment to give charity in parashat Re'eh: “You should not harden your heart or shut your hand from your needy brother” (Deuteronomy 15:7—8). These words could be compared to Friedrich Hayek's warning in The Road to Serfdom. Simply stated, when governments play an important role in allocating resources in society and/or map out a detailed plan for the workings of an economy, we risk the prospect of ever-increasing degrees of oppression in order to meet the plan's goals (Sauer & Sauer 2007). There is, however, an interesting difference between Judaism and Christianity and ancient Islamic thoughts regarding riba (interest and usury). While Christianity unequivocally condemns this practice and the institution (Wilson 1997: 82-85), the same does not seem to be the case with Judaism, especially when the Jews are in a state of diaspora (Wilson 1997: 33-36). The Islamic position is the most explicit on the abolition of riba, which is seen as one of the most "visible" defining characteristics of an Islamic economic system (Wilson 1997: 124-125). 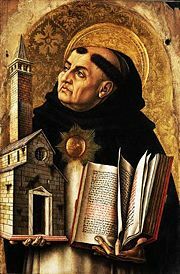 The "Scholastics" were the group of thirteenth and fourteenth century theologians, notably the Dominican Thomas Aquinas, that set down the dogma of the Catholic Church in light of the resurrection of Greek philosophy in the hands of twelfth century Islamic scholars. In the economic sphere, we can discern roughly four themes the Scholastics were particularly concerned with: property, justice in economic exchange, money, and usury. The coexistence of private property with Christian teachings was never comfortable. In the fifth century, the early Church fathers (the Patricians, such as Augustine) had struck down "communistic" Christian movements and the Church itself went on to accumulate enormous amounts of property. In the twelfth century, Saint Francis of Assisi began a movement (the Franciscans), which insisted on vows of poverty, "brotherhood" and deplored the accumulative tendencies of the Church. Against the Franciscans were arrayed Saint Thomas and the Dominicans, who extracted from Aristotle and the Bible the necessary arguments for their challenge. The Thomists took a practical stance: they argued that private property was a "conventional" human arrangement with no moral implications, and furthermore, it had the beneficial side-effect of stimulating economic activity and thus general welfare. The Thomists cautioned that this did not mean they endorsed all private enterprise: the "love of lucre," they noted, was a serious sin. They stressed the fact that man only has "stewardship" of God's property and should make property available for communal use. They also claimed that theft in times of need was justifiable (Lapidus 1994). The growth of commerce forced the Scholastics to deal with the impact of market exchanges. They identified the "just price" as that which supported the continued reproduction of the social order. The Christian should "do unto others as you would have them do unto you," meaning he should trade value for value. Aquinas believed that it was specifically immoral to raise prices because a particular buyer had an urgent need for what was being sold and could be persuaded to pay a higher price because of local conditions. Chanakya (c. 350 B.C.E.-283 B.C.E.) was a professor of political science at the Takshashila University of ancient India, and later the Prime Minister of the Mauryan emperor Chandragupta Maurya. He wrote the Arthashastra ("Science of Material Gain" or "Science of political economy" in Sanskrit). Many of the topics discussed in the Arthashastra are still prevalent in modern economics, including its discussions on the management of an efficient and solid economy, and the ethics of economics. Chanakya also focused on issues of welfare (for instance, redistribution of wealth during a famine) and the collective ethics that hold a society together. According to Chanakya, a conducive atmosphere is necessary for the state's economy to thrive. This requires that a state's law and order be maintained. Arthashastra specified fines and punishments to support strict enforcement of laws (the Dandaniti). 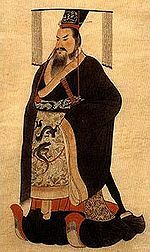 However, one of the greatest economic reformers in China lived during the medieval Song Dynasty (960-1279 C.E. ), that being Chancellor Wang Anshi (1021-1086). Espousing heated reaction by conservative ministers at court, Wang Anshi's political faction of the New Policies Group enacted a series of reforms that centered around military reform, bureaucratic reform, and economic reform. The possible indebtedness of political economy to fourth-century Greek thinkers has been widely debated, the contribution of Islam, on the other hand, has been consistently forgotten. Islamic economic thought is as old as Islam itself, for the Qur'an and the Sunnah, the sayings and acts of Muhammad, contain economic teachings. However, their contents are considered divine, and thus it is only their interpretation that can be considered Islamic economic thought. The early Muslims generally based their economic analyses on the Qur'an (such as opposition to riba, meaning usury or interest), and from Sunnah. These efforts in Islamic economic thinking are thus ascribed to the writers who made these attempts, rather than to the Qur'an and the Sunnah. Throughout its 14 centuries there are works in which economic issues are discussed in light of the Shari'ah. However, the vast literature on the exegesis of the Qur'an, commentaries on Hadith, principles of jurisprudence (usul al-fiqh), and law (fiqh) has greatly overshadowed the economic treatises. Nevertheless, a number of writings on economic thought are available. Muslim economic thought enriched the Hellenic contribution to economic thought in the areas of government of the kingdom by the caliph, of the city, and the household organization. In rejecting profit, usury, egoism, and monopoly, and in preaching moderation, altruism, the practice of fair prices, and unselfishness, Islam inaugurated an "economic system" which has derived from that of the Greeks and which laid the basis for pre-capitalist thought (Essid 1995). Those who disallow the deferred price to be higher than the cash price argue that the difference is riba as it is an increase (in payment against time), and every increase against deferment (or payment) is riba. There is no difference between saying "Either you pay now or pay more in lieu of deferment," and selling at a higher (than cash) price because of deferred payment. The essence is the same and it is riba (Hosseini 2003: 40). One who sells on credit does so out of necessity, he cannot be regarded as doing so willingly. He is therefore not covered by the Qur'anic verse "except when it is trade among you with mutual consent [IV: 29]." Abu Hanifa's concern for the poor and the weak was well known, as was the human values in his juristic method (Hosseini 2003:36) A transaction which was becoming increasingly popular was salam or sale of commodity to be delivered in future against a price paid in cash at the time of contract. Abu Hanifa found confusion surrounding this type of contract often led to disputes. He tried to eliminate these disputes by specifying what must be known and stated clearly in the contract, such as the commodity, its kind, quality and quantity, and the date and place of delivery. He laid down a further condition that the commodity be available in the market during the period intervening between the contract and the date of delivery so that both parties knew that its delivery was possible. This book outlined Abu Yusuf's ideas on taxation, public finance, and agricultural production. He discussed proportional tax on produce instead of fixed taxes on property as being superior as an incentive to bring more land into cultivation. He also advocated forgiving tax policies which favor the producer and a centralized tax administration to reduce corruption. Abu Yusuf favored the use of tax revenues for socioeconomic infrastructure, and included discussion of various types of taxes, including sales tax, death taxes, and import tariffs (Hosseini 2003: 34). Abu Yusuf preferred the state taking a proportion of the agricultural produce from the cultivator rather than levy a fixed rent on agricultural land. This was more just and likely to yield a larger revenue by facilitating expansion of the area under cultivation. In discussing taxation, he laid down certain principles which anticipate those introduced many centuries later by the economists as "canons of taxation." He suggested salaried staff to act as tax collectors, who should be under strict supervision in order to prevent corrupt and oppressive practices. The main strength of Abu Yusuf's thinking, however, lies in the area of public finance. Apart from the responsibilities of the Islamic state related to welfare of the people, he wrote detailed suggestions on how to meet long term development expenditures like those on building bridges and dams, and digging canals. They speak highly of his foresight, sagacity and concern for the well-being of the population (Hosseini 2003: 38). When civilization [population] increases, the available labor again increases. In turn, luxury again increases in correspondence with the increasing profit, and the customs and needs of luxury increase. Crafts are created to obtain luxury products. The value realized from them increases, and, as a result, profits are again multiplied in the town. Production there is thriving even more than before. And so it goes with the second and third increase. All the additional labor serves luxury and wealth, in contrast to the original labor that served the necessity of life (Weiss 1995: 30). Perhaps the most well known Islamic scholar who wrote about economics was Ibn Khaldun (732-808 AH/1332-1404 C.E.) of Tunisia. Joseph Schumpeter (1954: 136) mentions his sociology, others, including Hosseini (2003) consider him a father of modern economics. It is his insight into the laws governing human behavior and socio-economic phenomena like division of labor, growth and decline of population, and rise and fall of prices, which distinguished him from many other social thinkers. The focus of his attention was the various stages of growth and decline through which, according to his insight, every society must pass. This theory has been compared with John Hicks' theory of trade cycles (Weiss 1995: 29-30). Ibn Khaldun's idea about the benefits of the division of labor relate to asabiyya, the greater the social cohesion, the more complex the successful division may be, the greater the economic growth. He noted that growth and development positively stimulate both supply and demand, and that the forces of supply and demand are what determine the prices of goods (Weiss 1995: 31). He also noted macroeconomic forces of population growth, human capital development, and technological developments effects on development. In fact, Ibn Khaldun thought that population growth was directly a function of wealth (Weiss 1995:33). 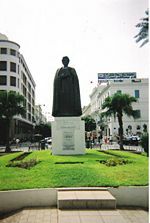 A distinctive feature of Ibn Khaldun's approach to economic problems is his keenness to take into consideration the various geographical, ethnic, political, and sociological forces involved in the situation. He did not confine himself to the so-called economic factors alone. He would rather examine whatever forces he found relevant to the issue under study. It is in this context that one can appreciate his tendency to take a people's religious beliefs and traditions into account while discussing their economic behavior and social institutions. He was fully aware of the truth that production of wealth is not a result of individual labor and enterprise only. It owes itself as much to man's social and socio-political institutions, especially the state and its administration. It is worth remembering that the early economists and jurisprudence specialists, even though they strongly advocated the efficiency of productive sectors, were also much more sympathetic to the ordinary workers' plight than, say, the later mercantilists. During the mercantilist period, industrial and agricultural workers lived on the brink of poverty with very little protection in the law statutes of the time, but the ancient philosophers, jurists, and economists always had the interest of these working classes in mind. Lapidus, Andre. 1994. Norm, virtue and information: Individual behaviour and the just price in Thomas Aquinas' Summa theologica. European Journal of the History of Economic Thought 1(3): 435-473. History of "Ancient economic thought"
This page was last modified on 29 August 2014, at 17:40.